Panel 1: “Maj”? Presumably sounding like “mage”? Not the best nickname one might hope for. 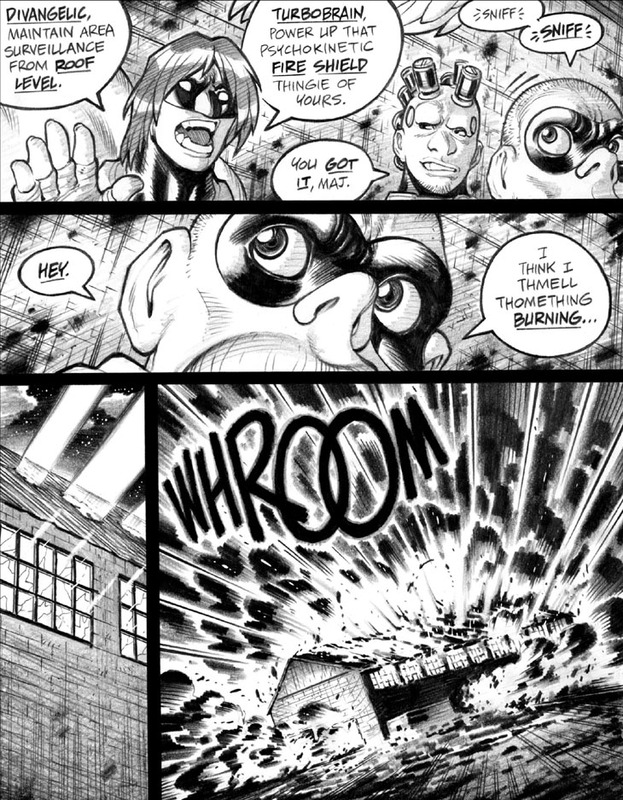 Panel 3: Ehh, might’ve worked better to show a previous image of the darkened warehouse exterior before it lit up so brightly, here. Oh, well.